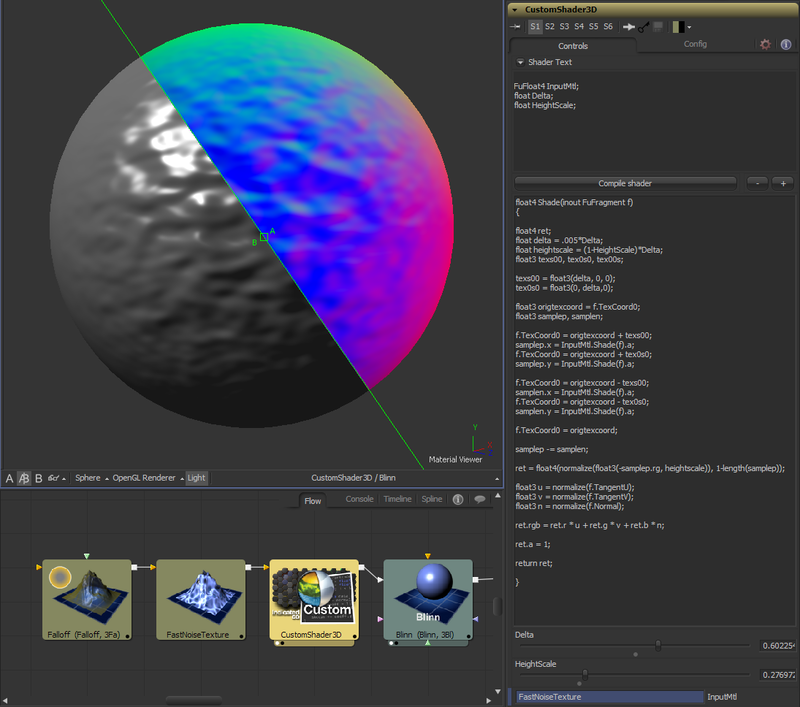 Custom Shader 3D is available for a limited time at a launch price of $195. 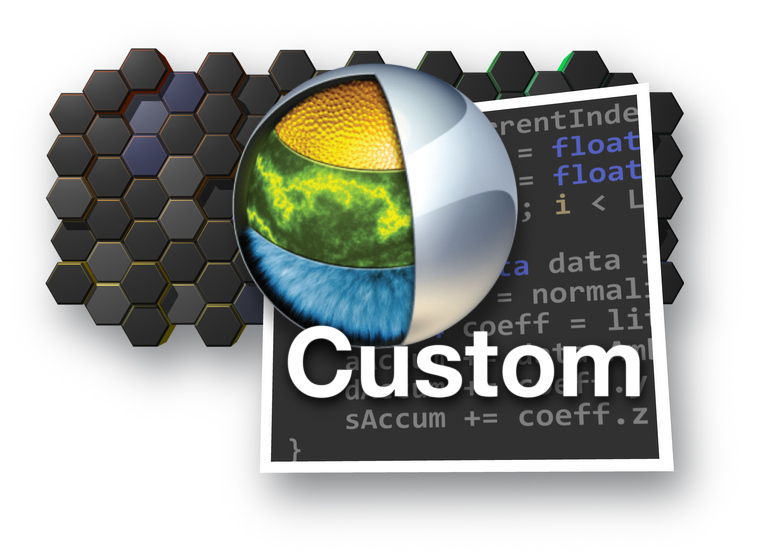 Custom Shader (3CuS) is a powerful tool that allows you to make your own fragment shaders from within Fusion Studio. No need to learn how to make plugins, you simply choose the inputs controls you want and write the shader into the text box and Custom Shader will add your shader to the Cg compiler. You don’t even need to restart Fusion. The shader code is stored in the tool itself, so any shader you develop doesn’t need to be distributed to the renderfarm as a separate file, it’s entirely self contained, much like Fusion’s built in Custom Tool. The UI is completely dynamic, you can add named custom inputs for materials, colors, floats, booleans, transforms, as well as lookups for gradients and curves. After creating your shader, you can even package it into a custom setting or macro to expose only the inputs you want to see. All of the inputs are User Controls, so you have full control over their attributes. 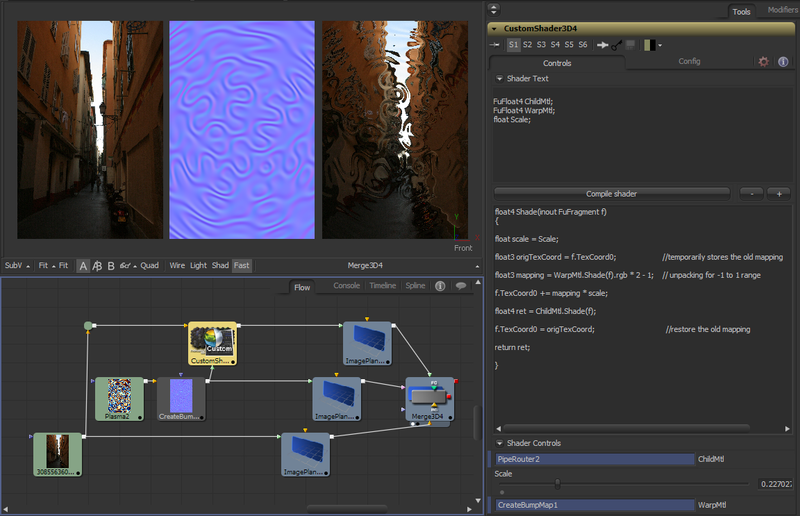 The shading language Custom Shader uses is Cg, which is the same shading language Fusion’s native materials use. 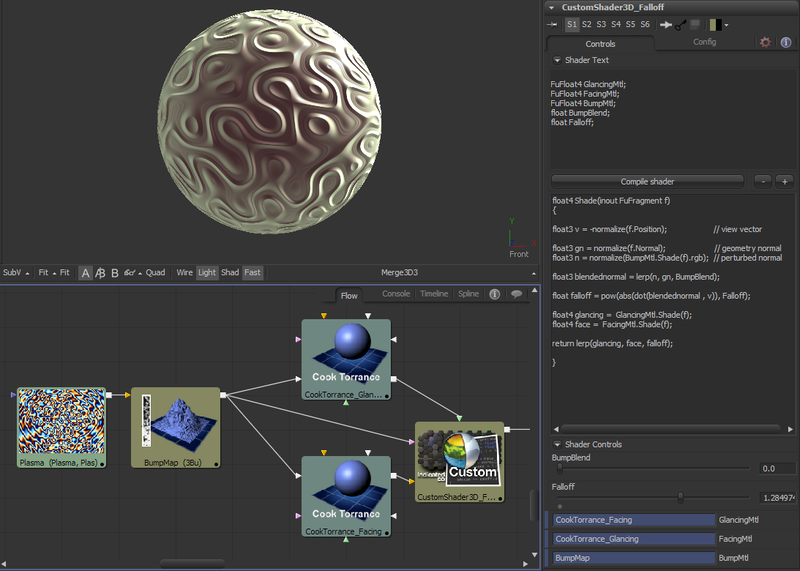 In fact, you can even copy and paste Fusion’s existing shader code into Custom Shader and add new features that you wished Fusion’s built in materials had. Custom Shader has access to lights, transforms, cameras, vertex colors, and other important features to allow a wide variety of shaders including lighting models, procedural textures, color correction, warping, filtering, etc.. In fact, all of the shaders we’re currently selling can be made using Custom Shader. Because iteration on the shaders is so fast, it’s easy to learn how to make your own. Custom Shader includes many examples, and we’ll be collecting tips on the product help page. Because of the dynamic compiling features, Custom Shader cannot be used with the Software Renderer. For our other materials, we typically build the Cg shader first, then the C++ version for the Software Renderer, so it’s fairly straightforward to convert from Cg to C++, but such functionality is not possible at this time without a C++ compiler. If you would like to see one of your Custom Shader creations run under the Software Renderer, however, please contact us. Build materials from scratch or modify existing materials. 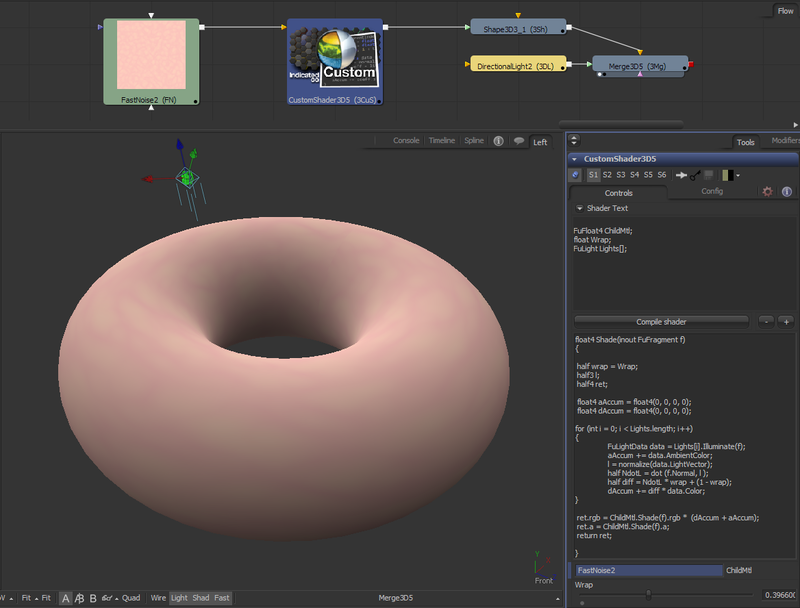 Apply your custom shader to any material in your scene, to any object or sub-object by Material ID. Separate tabs for building and using the shader, so completed materials have a clean customized interface built entirely with UserControls. Many included sample shaders to adapt and learn from. Our plugins come with free maintenance updates and include support for Fusion Studio 7, 8, and 9 (Windows only). Please note: Plugins do not work with the free version of Fusion.